Hello everyone! Valentine's day is almost here. 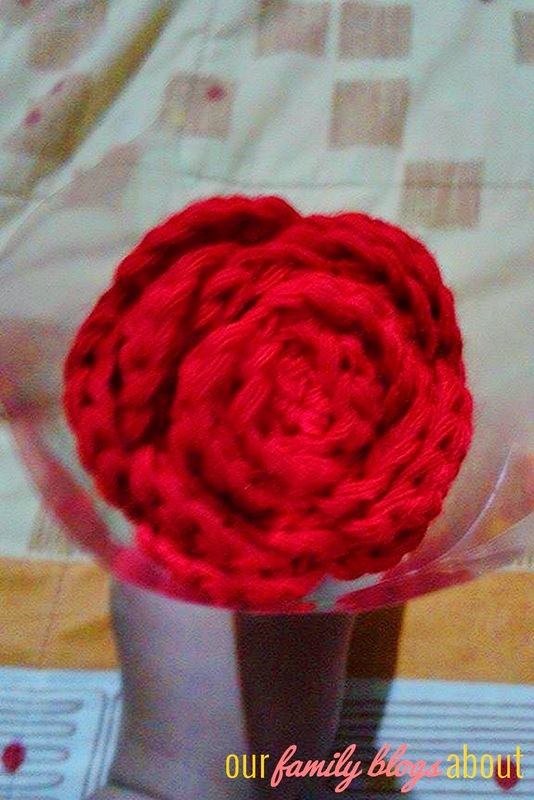 Let me share with you the crochet rose flower I made last night. Today is my son's Valentine's day party at school. 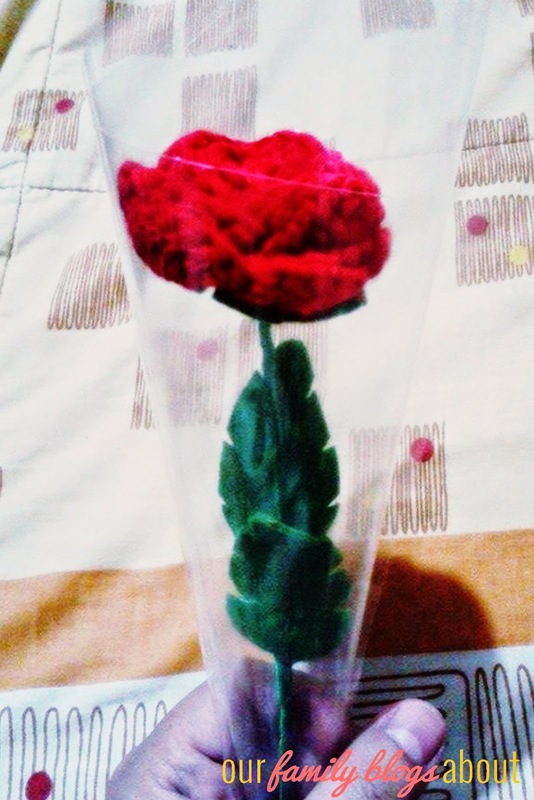 Though they are not obliged to give something to their teacher, I thought of making a crochet rose flower for her. 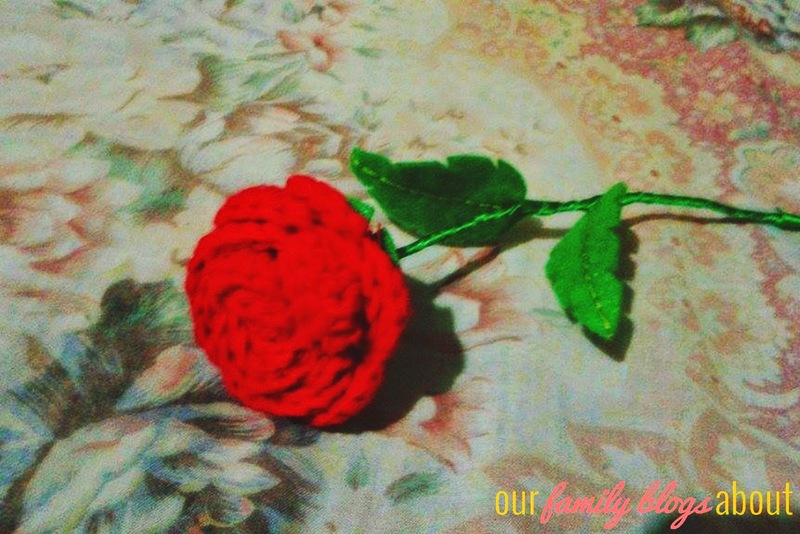 I crochet the rose flower. You can find the free pattern of crochet rose here. 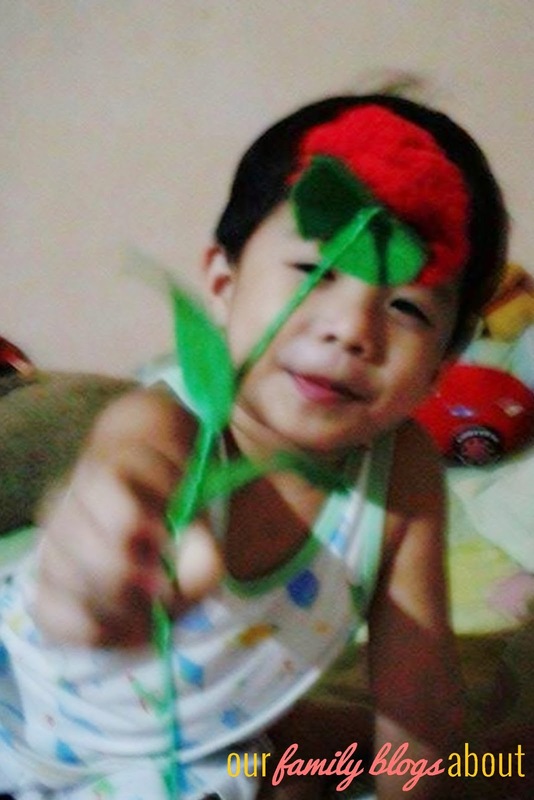 After I finished the crochet rose flower, Daddy attached it to a soft wire as its stem. He then cut two leaves from a green felt cloth that we have. Finally, he covered the wire stem with green ribbon. 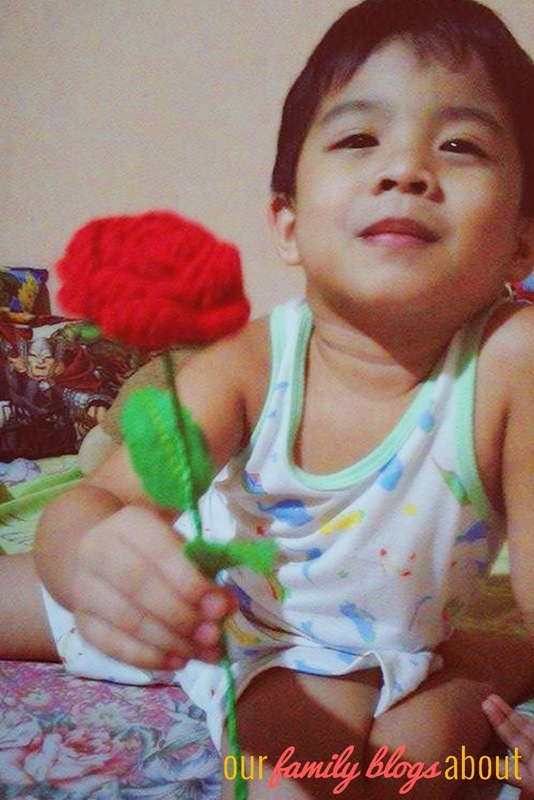 Crochet rose flower for you from our Matthew Andrei! Very apt for valentine's day. I wish I can do that too. Wish I can do this too. Very apt for tomorrow's v-day.